Bringing together E.P. 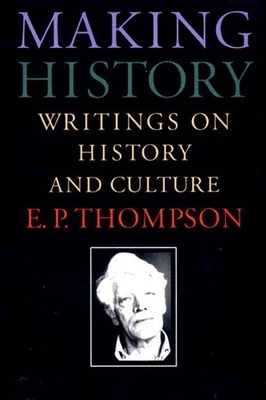 Thompson's writings and lectures delivered over a number of years, Making History covers the key debates in history and cultural theory that occupied Thompson throughout his career. Making History includes such landmark writings as Thompson's influential and sympathetic assessments of the historians Raymond Williams and Herbert Gutman, as well as his judgments of the lasting value of classic English writers such as William Morris and Mary Wollstonecraft. Also included are Thompson's perceptive and always witty contributions to current issues of debate, such as the role of poetry as a political act and the historical method and imagination. The book concludes with "Agenda for Radical History," Thompson's inspiring and oft-cited lecture on the future of history and the task of historians in years to come, a fitting conclusion to the book and to Thompson's own exemplary career. E.P. Thompson (1924-1993) was one of England''s foremost historians and social critics. His books include Customs in Common, Witness Against the Beast, and Making History (all available from The New Press), as well as The Making of the English Working Class.